A friend and I decided we would try and “beat” the summer heat – headed north for a few trials. I’ve been to so few this year with Moss being “off/on sound” that I thought I would give him a go to see if he was ready to “rock and roll” again. We were gone for 12 days and thoroughly enjoyed our “summer vacation”. BUT we sure didn’t “beat the heat” we seemed to have taken it with us. First trial we “hit” (only 13 hours from home :@) was Geri Byrne’s. She has been putting on trials all summer in order to make money for the Finals. No one has to worry about how well the Finals will go as Geri is as organized as ever. She also has a great group of “EverReady bunnies” that work tirelessly to keep everything going. Quick, even set out by John and Connie Fontaine (with great help from Lana’s son James :@), long days of judging by Mike Hubbard (Sat) and Lana Rowley (Sun). Then on to the next trial that spell check never recognized:@) It was in Oregon around Roseberg and called Umpqua Valley! No matter what it was called … it was a great trial. Held at Deborah Millsap farm and what a gorgeous farm it was! Well organized and extremely well run. Including a beautiful 400 yard outrun, great, challenging but tough sheep. Derek Fisher (our illustrious judge with shorts on trying to stay cool :@) announced at the handlers meeting that allowing the dogs to go to water would not be docked (but time/sheep lost would be). I think everyone’s concern for the dogs (and livestock) was very much appreciated. A “quick update” …. well, sort of quick as it took a couple of hours to get the video “sorted” and uploaded. Then, I had to break it down into two parts (our internet speed is -0 :@). 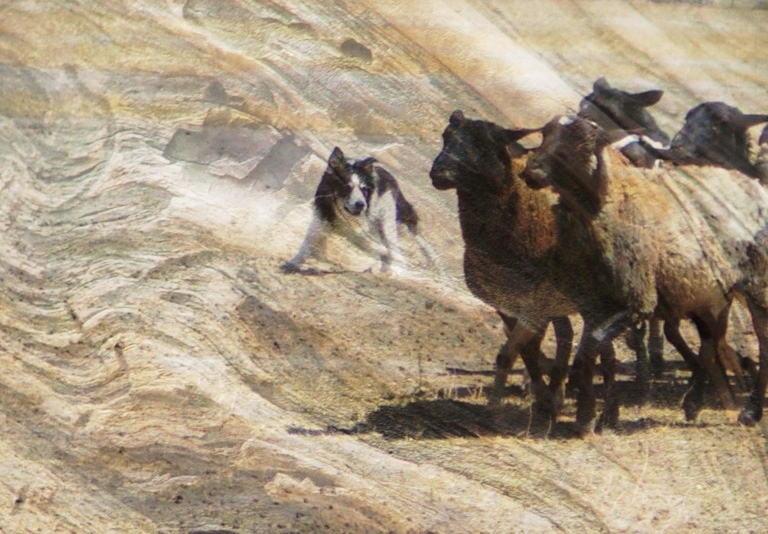 I tried to keep everything close up – so I could keep both dog and sheep in the frame but “as you will see” … I didn’t succeed (guess I better not quit my day job :@). If you watch you can see how when the sheep stop he doesn’t keep walking (on the cross drive). Sometimes I have to flank him away from the eye to get him going again. As much as he likes to control sheep he’s so biddable he’s willing to release pressure when asked (always a good thing). He’s still not “pushing on” like I want but he’s always trying. He doesn’t have this issue on the fetch so I think age will improve it. I will try and get a video of Tech to show the difference between him and Gear (this is what most people wanted to see). He is all forward and less “catch eye” than Gear. He controls his sheep as well but always with a forward motion. Gear is 1 1/2 (Tech is a couple of months younger). I was recently emailed and asked if I had written any articles on “eye”. I said I had referred to it in a number of articles but never really written one exclusively about the difference in eye and how I work dogs to “fit” their eye. It got me thinking why I hadn’t done an article on it and came to the conclusion – because if you try to confine your training issues to “just eye” the you are missing the “whole” picture. There are many different “kinds” of eye but its NOT just the eye it’s the rest of “the package” combined with the eye that you have to deal with. However, I thought I would “touch on” some of the issues I’ve run up against through the years. There are dogs with the kind of eye that always wants to head. When you first start fetching they will make a circle around you trying to get to the head of the sheep. It’s a battle to keep them on the other side to fetch. Sometimes in the beginning they won’t even “go around” the sheep if they catch the sheep’s heads when they’re first brought out. Eye that doesn’t want to come inside the bubble and lies down. 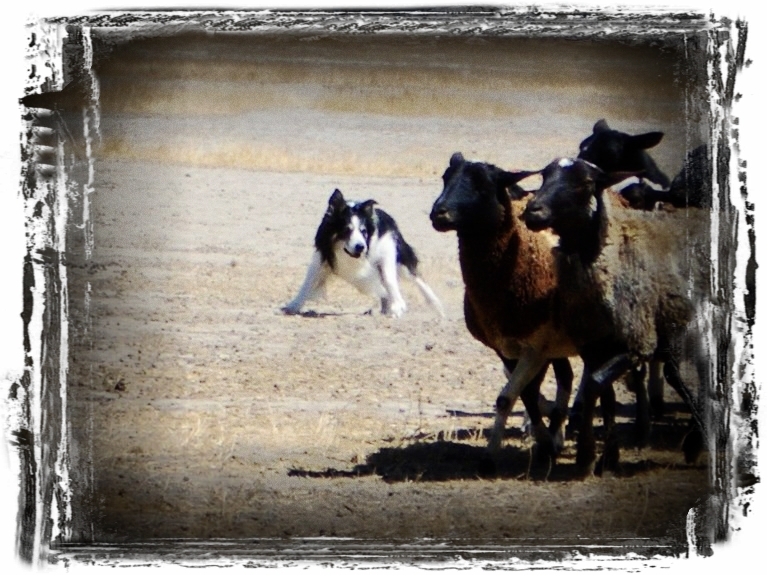 Sometimes these are flanking dogs will keep a certain distance around the sheep. When you try to make them “walk up” they want to flank to move their sheep instead of push on straight. Eye that freezes and won’t move. The prefer to lie there as long as they “feel” the sheep are under control and not moving. Usually these”type” if forced to come into the bubble … totally break all eye contact and come in fast and often gripping. Eye that will keep moving but never releases pressure. These are the type that while flanking are “leaning” on their sheep with eye. 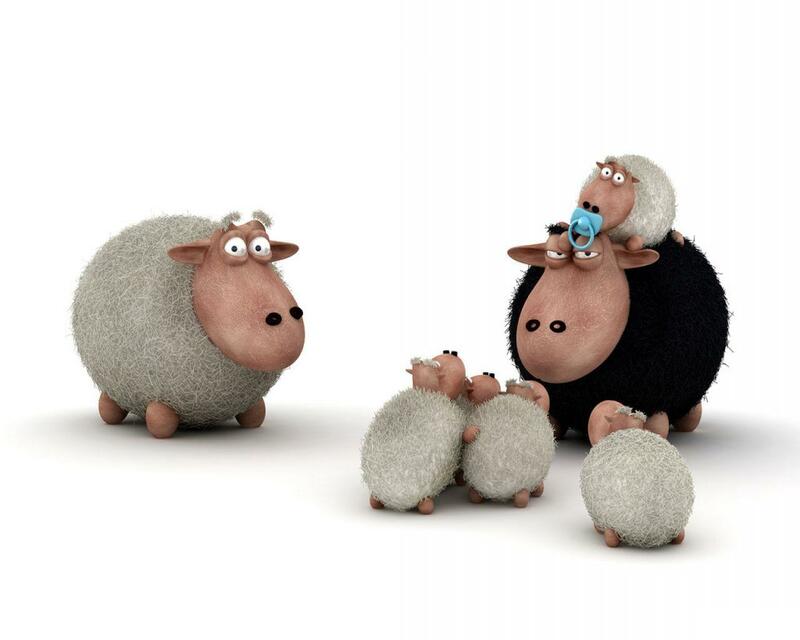 They may not get closer to the sheep with their body … but their mind and eye are putting pressure on the entire time. Eye that makes a dog “kick out” and keep “kicking out”. These kind will look at sheep and go wider every time they look … ending up totally out of contact with the sheep. Eye that won’t finish a flank. These type don’t flank they “lean” … go 3 steps and stop to eye some more. However, some of these only have that eye on the flank and if asked to walk straight will push the sheep straight without hesitance. Eye that goes past balance. They look and leave correctly but then “get lost” and forget what they are doing. But when brought back “into the picture” will eye up again. So loose eyed they will just keep walking until they are in the middle of their sheep. Usually these “type” have no feel or balance. Often even after trained these type flop around behind their sheep. Strong eyed but no style. Most people “think” that if a dog show eye he’s stylish. I’ve seen a number of dogs freeze with their eye but stand totally upright (head up – shoulder up, etc.). Some of these can show style as long as they aren’t “personal and up close” with their sheep. After saying “all that”, it’s never wise to bring a working dog down to “one” attribute. Because everything can change by adding one more element into the “eye equations” above. Say a dog with too much eye but also has a lot of forward … you won’t run into the same issues with that dog as you would with one that has very little forward. So, how do you work with all this “eye”? In a “nutshell” direct the action so you can direct the eye. I find it easier to work on eye at the same time I’m working on flanks. 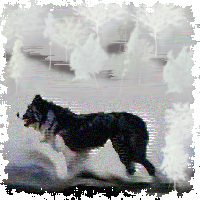 My goal is to create rhythmic and relaxed “flank” in the dog with calm, quiet, even pressure. Teaching him to stop on pressure (not running past it or trying to go the other way) will help with loose eyed dogs. 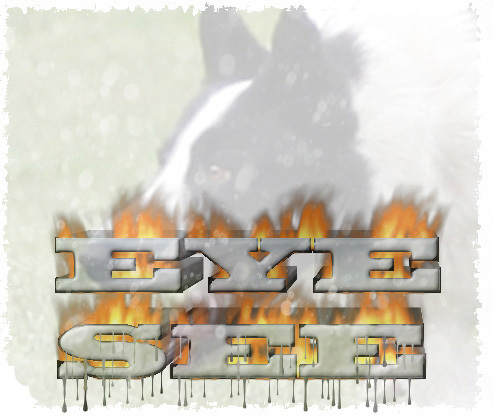 Keeping me, the sheep and the dog moving helps strong eyed dogs. Eying up on a flank or flying about with no thought needs to be corrected UP CLOSE first. The dog’s body AND thought process needs to be collected. 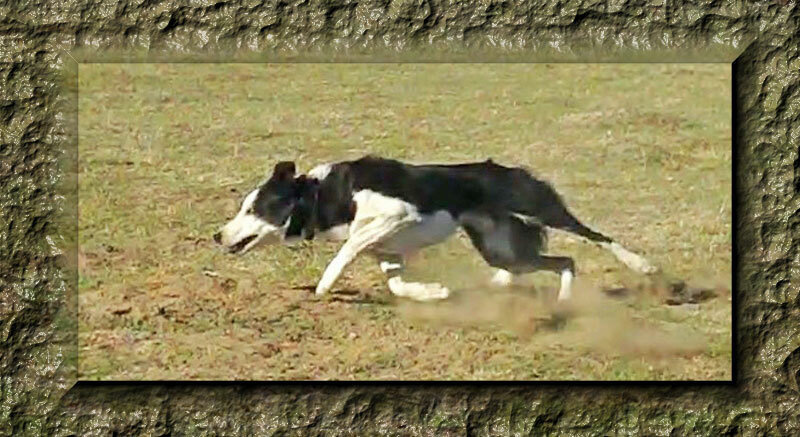 Avoidance will create a flank in the dog but shouldn’t be mistaken for actually learning his flanks. He must understand that pressure/correction is there to help him “problem solve”. So, if he “eyes” up in the wrong spot … correction (pressure) … release only when he gives to that pressure – then encourage him to go on with the flank. Until, the eye “creeps” in again then repeat the correction “over and over” again. You are trying to shape his “programming”. It’s not as if he’s going out of his way to do something wrong … he’s trying to control sheep the only way he knows and you need to convince him there is another way of handling sheep. Once the dog is “in-tune” with your body language and understands the you are there to give guidance … use your body language to create the shape of flank you want THEN put the command with it. So, don’t give a “come-bye” if he’s NOT flanking correctly. You don’t want him to associate the “flank command” to an incorrect movement. You have to be consist with your body, your words and your whistles. If sometimes you let him show more eye than he needs then correct him other times … the flank (and later the outrun) will never have the shape you want. So, as you can “see” no dog is perfect but it’s your job to “draw out” the best in him. If you can look at the “whole dog” and work with what he has … he will be a better dog and you will end up a better trainer. For those of you that aren’t Star Trek fans – it refers to Mr. Spock’s ability to access the mind of someone else that allows him to know what they are thinking. The perfect example of a handler and dog having a great run is embodied in Mr. Spock’s ritual “my mind to your mind” – wherein he establishes some sort of radio-like connection allowing him to eavesdrop another’s thoughts and/or to inject his own. When you and your dog are in Sync that’s what it looks and feels like. Working a dog and connecting with a dog are two very different things. It’s like a relationship it’s ALL about chemistry. You can’t have it with every dog but when you find it … it is special. Different people suit different dogs and you need to learn which “type” suits you. 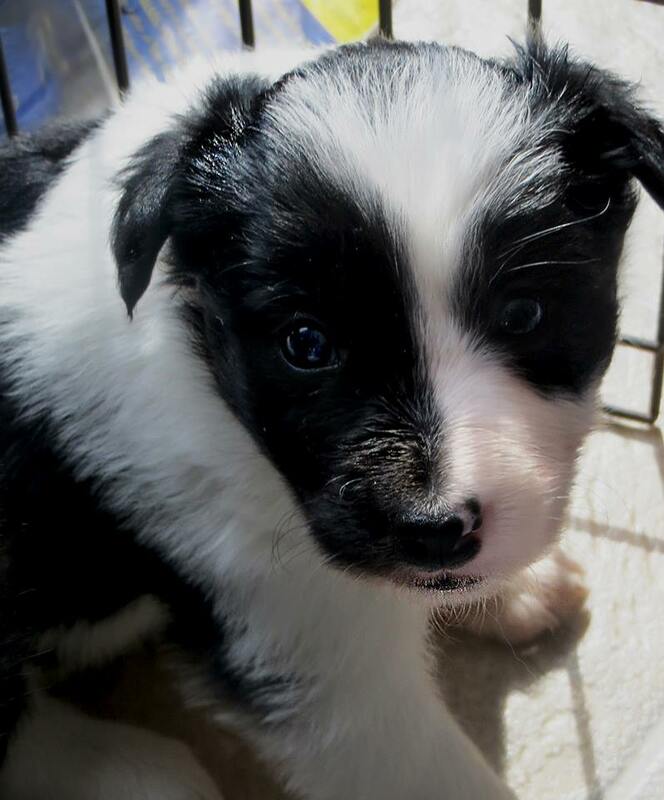 That will help you find a dog that will enable both you and the dog to enjoy working together. Why spend all the time and energy it takes to get a dog working correctly if he doesn’t fit you or your handling style? Why fight a dog that doesn’t suit you when he may just “fit” someone else? Where “more than likely” they would appreciate him more. If you’re an adrenaline junky and love running fast, sharp, high energy – high drive dogs but you are running a slow, smooth flanking, easy, quiet type … the odds are you are going to get irritated with him. It’s not his or your fault … it just means you don’t have “chemistry” with that particular dog. It’s very possible someone else would “completely click” with him. It’s not a matter of “right or wrong” – “good or bad” … it’s a matter of what suits your handling style. We don’t all drive the same cars nor live in the same parts of the country. What you need is what feels the most like “home” to you … be it a house, a certain part of the country or a dog. I think it’s a comfortable feeling when are handling a dog that fits you “like a glove”.